Last week Konstantin Stoletov, Shay Har-Noy, a rubber duck (“Ducky”), and myself completed a Winter Ascent of the Evolution Traverse, the biggest and most daunting High Sierra technical climb yet to be completed in Winter, and thus far the only Winter Ascent of one of the “Big Four” Sierra technical traverses. 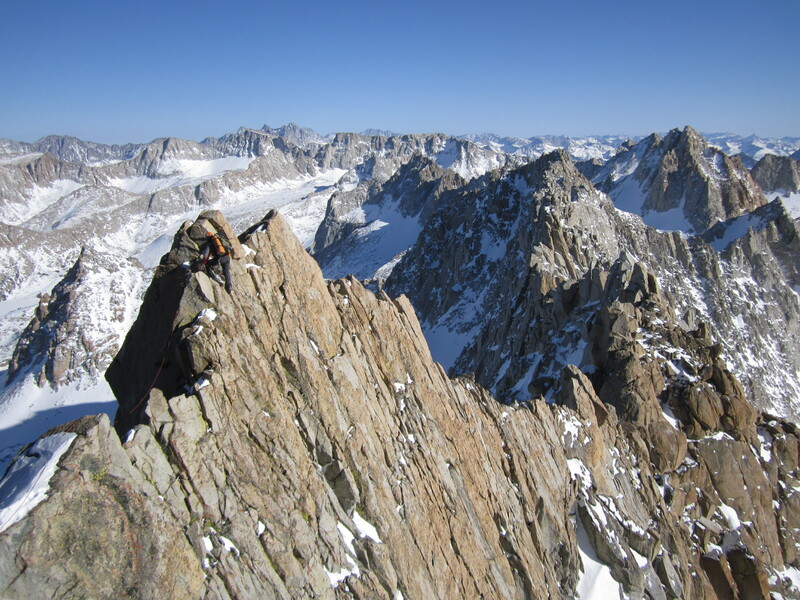 Nine 13,000′ peaks in the Evolution Range linked for a total of more than eight miles of climbing on the ridge. Almost 15 years after it was first attempted in Winter by Jerry Dodrill’s team, this was the first time it was completed. 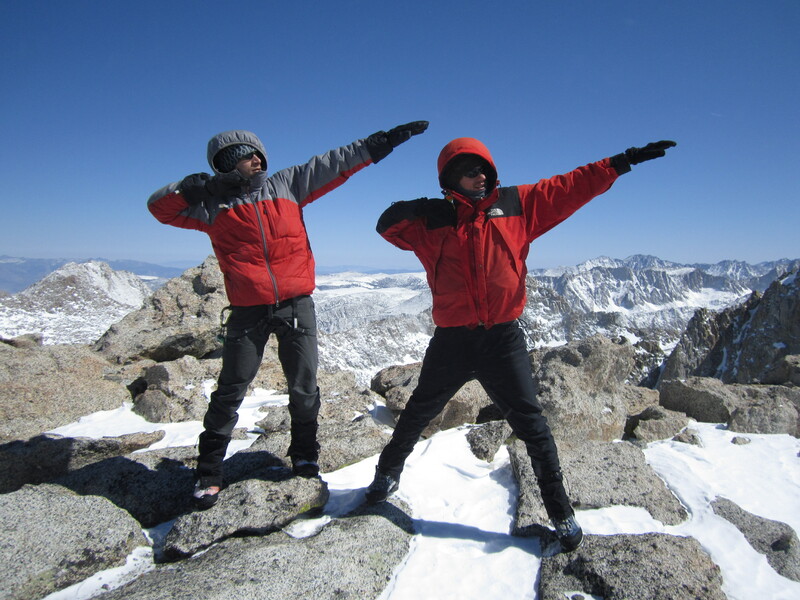 That’s big for the High Sierra in general, and for Pullharder, our climbing collective. 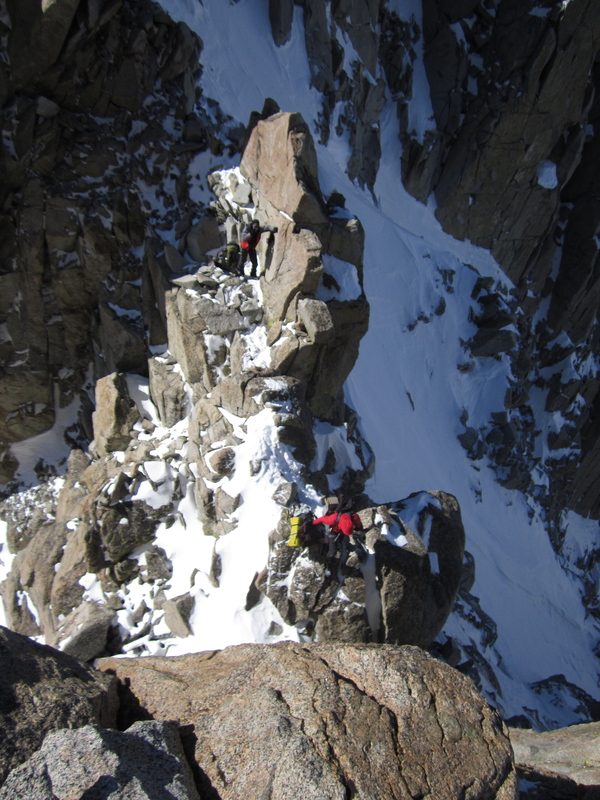 In the Alps (and more generally, in alpine climbing), the recognized “big three” types of ascents are First Ascent, First Winter Ascent, and First Winter Solo. For getting on such a big route in hard conditions, Pullharder is helping to push the sport forward. Stoked, but…tired. Tired, hungry, brain-dead. Evo was extremely difficult, even though we were fit and experienced. Seven days out there, including four on the route proper. 36 climbing hours; 60 hours total of movement. Low of at least -7F, winds as high as 90mph, probably gusting higher. Lots of high elevation sleeping, all of it over 11,000′; much over 13,000′ on small ledges. I ate so much food in the ensuing few days after our return but still remain rail thin. Sunburned, gaunt, frail. Haggard. I ran 4 miles yesterday and then slept almost 3 hours. It felt like the exhaustion from a 20-mile run. But this will pass. The stoke is eternal! Being tired is understandable, but why so stoked? 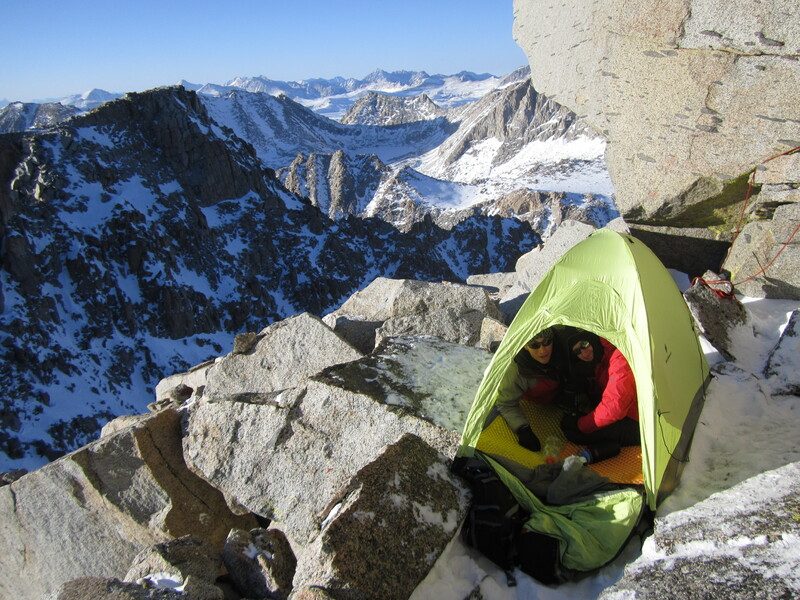 First, the Evolution Traverse is regarded as the best traverse in my home range, the Sierra Nevada. Home is important. Local is important. I like knowing my home. Second, the Evolution Traverse was the vision of Peter Croft, probably the greatest Sierra Climber, and one whose attitude has highly influenced me. “It’s a lost, or it’s kind of an ignored idea, the idea of magnificent failure rather than a mediocre success.”- (from here). This idea is central to the Pullharder Alpine Club, and Croft did the First Ascent of the Evolution Traverse in Summer. To be associated with Croft’s route is a very cool thing. We took this vision of going big in Summer (still Evo has seen only ~15 Summer ascents) and we pushed it bigger, into Winter. Third, it’s about Evolution. Yes, that is just its name. But evolutionary psychology is the backbone of my worldview, and climbing plays a key role in that. I believe that both physically and psychologically, being as close to how humans have lived for hundreds of thousands of years is important. Putting value on community and personal interaction. Getting lots of physical exercise. People went out together to hunt in those times, which is in most ways a lot like going out to the mountains with your friends now. It’s very psychologically satisfying. I have more on this topic, but not in this post…but the Evolution Traverse’s name attracted me. Last, I wanted to elaborate– why was this Winter season so good for me? In essence, I ran a lot of ultramarathons last year, and have wedded that new excellent cardio with some newly gained decent (5.11 trad lead) technical rock climbing proficiency. Together with mountaineering and soloing experience from several years climbing in Kyrgyzstan meant that everything was there for a big Winter Sierra season. I was able to introduce single-push Winter climbing into my repertoire. The official Pullharder trip report is here; the beta/gear list is here. This entry was posted in Climbing, Great Nature, Physical Exertion, Pondering and tagged evolution traverse, sierra nevada. Bookmark the permalink.